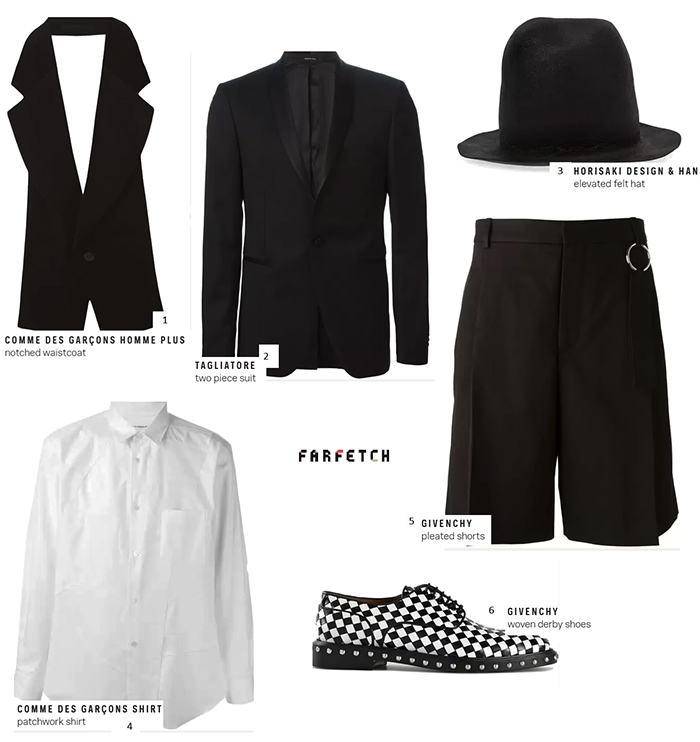 I was asked to enter the competition with Farfetch.com to make an outfit that would meet the official rules for this season’s Royal Ascot race meeting. Even though the dress code is totally different from my personal one, I thought, why not? The website offers such an amazing selection of pieces that choosing my favourites wasn't too easy, but . . . This is not a typical Royal Ascot outfit but I’m convinced this fashion-forward company would not mind something a little bit edgy. It's still a formal outfit in my opinion, just more fashionable. More me. And somebody who knows me or my style also knows that I will always want to be myself, no matter what the circumstances. I hope you're doing that, too. Brilliant! Sartorial elegance at its most courageous! I want to see Prince William in those pleated shorts and the Horisaki hat. In fact, somebody should make a photo-collage of him in this outfit. Total outfit costs only $4,845. A snip! Oops – those should have been 4,845 Australian dollars for Farfetch, which comes to $3,712 in US dosh. Still a snip.